I first met Clare Bottle when she attended one of my RenewYou courses many moons ago; I was immediately impressed with her dedication and ambition. Since that time her career has moved onwards and upwards and she is on a mission to recruit more women into her chosen field. Clare is one of that fortunate group who love what they do: in this case, her chosen career is logistics. Jane: Clare, I confessed to you some time ago that, until we began working together, I really had no idea what logistics was. Just in case there is someone reading this as daft as me, what is it? Clare: I’d describe logistics as the art and science of managing ‘stuff’. Storing and transporting raw materials and goods; balancing supply and demand; ensuring everything is in the right place at the right time for a cost-effective price. It’s ubiquitous. Almost every business has some physical paraphernalia which it extracts, grows, buys, makes and/or sells. Excellent logistics management streamlines how that’s controlled, to create a competitive advantage for the business. Logistics is pretty much a male dominated area, what attracted you to it? Logistics issues often present a tough intellectual challenge which I enjoy, but at the same time, the solutions to logistical problems must be practical, so it’s not just an academic discipline. I like that balance. It’s also a very labour-intensive sector, which means there are some really big teams of people involved and plenty of opportunities to be friendly and sociable. What was your career path? Did you make a plan or did events lead you? A mixture of the two really. I’ve always planned my next steps, but I’m not afraid to take risks in my career too. So, for example, in 2005 I set up my own business as an interim manager (a kind of freelance logistics troubleshooter) and I was expecting to get most of my work in the chemicals industry, but although I ran that business successfully for over six years, in the end I never worked for a single chemicals company. Instead, for example, I ended up working in the public sector for a while at Transport for London, which was something I never expected to do. Many women get stalled in their career progression in their thirties by taking time out to have babies. What are your thoughts on this thorny topic? Of course, upon becoming a parent, people review their aspirations and there’s nothing wrong with that. In my case, having my son made me even more determined to pursue a successful career; but then I was an accidental single mother, aged just 21, which presents a different set of challenges to the ones implied in your question. Flexible working is clearly part of the answer, and the good thing about that, is that many working men want to be good Dads too, so it’s important not to frame it as a benefit solely for women. Ultimately, companies that penalise parents are being reckless, because their staff retention rates will suffer and they won’t be perceived by anyone as a great place to work. You’ve been in the industry for some time. Have you noticed many changes in relation to the numbers for a) women entering it, and b) how they are perceived and treated? There’s been a gradual increase in the numbers of women joining our industry, but retention levels still need to improve. Things have changed quite a bit however, since my friend Ruth Waring got a group of us together and set up Women in Logistics UK in 2008. Our organisation is now seen as the “in crowd” at industry events; the issue of gender diversity has received more attention and women are more welcome than ever before. We run a programme of networking events, a mentoring scheme and we’ve just launched a campaign to get more girls to consider a career in logistics. 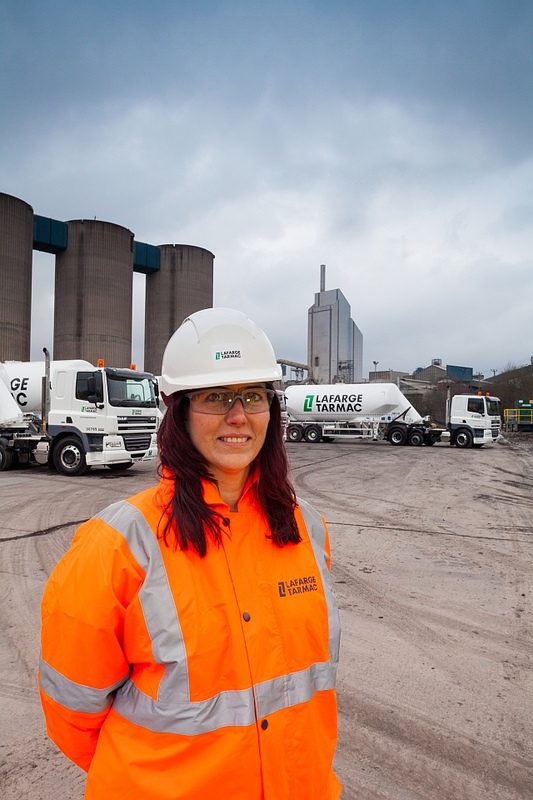 How do you think the logistics industry could encourage more women into its ranks? We all depend on logistics every day, but when it comes to recruiting young people, the industry’s fatal flaw is that you only notice it when it goes wrong. Children can’t consider careers that they’ve never heard of; and logistics is the most underrated career choice in our economy because so few teachers and parents know about it. I’d like to see more companies taking a collaborative approach to PR, to raise the profile of logistics with both girls and boys while they’re still at school. 9% of schoolgirls aspire to be hairdressers, but there are ten times as many jobs in logistics as there are in hair & beauty. What advice would you give a young woman today looking to enter the world of Logistics? Do it. And join Women in Logistics UK straight away. It’s free and will give you a ready-made group of allies to rival the “Old Boys’ Network”. Do you remember what your first paid job was? What did you do and how much were you paid? Do you still use any of the skills learned from that role? I had a summer job as a waitress in a coffee shop in Chester when I was 15. I can’t remember exactly what I got paid, but it was less than £2 per hour. We were handed a small brown envelope of cash every week. I learned that people will generally forgive a genuine mistake as long as you apologise and put it right straight away. And I can still make a decent cup of tea. Who has most inspired you in your career? I’ve been inspired by so many people from the logistics sector, including Pepsico’s Supply Chain Director Jane Burkitt, the CEO of Hermes Carole Woodhead, and the UK’s first female Traffic Commissioner, Beverley Bell. But the most inspirational people of all have to be my family. My parents, siblings, husband and son all have strong values, high expectations and a compelling belief in me. That’s had a huge influence throughout my life. Some people are not so lucky: it’s a distinct privilege for a career woman and working mother to have the support of their family. What advice would you like to give to your 16 year old self? I’d explain how dynamic business is. When I was at school I thought a career in business wouldn’t offer much of a challenge, because from the outside, most businesses seemed to be pretty well organised already. But with constantly changing markets, new legislation, growth plans and fluctuations in business strategy, I’ve learned that businesses never stand still and there’s always lots of interesting work to be done. And what’s the very best advice you have ever received? Last year I read Sheryl Sandberg’s book, Lean In, which asks us to consider what we would do if we weren’t afraid. I’ve already found that a really helpful way of approaching challenging situations, both in work and outside it. Within the field of Logistics are there some good role models for young women and girls? Who do you most admire? There are some really amazing young women in our sector who are refusing to accept the limitations of gender stereotypes. I admire many of them and in particular I would single out *Charlotte Laval and **Becky Smith. If you could make one change to help women at work (any job) what would it be? I’m convinced there’s a problem with inequality of pay, but it’s a shadowy topic and the issues can’t be addressed until they’re properly identified, so I’d make it compulsory for every limited company to state average salaries by gender in their annual accounts. And finally, Clare, what are your ambitions for the future? Where would you like to be next? There are too few women on boards in the UK, but I’m planning to redress the balance. I plan to lead by example, getting appointed as an executive director. And I want to ensure more children (especially girls) recognise logistics as a legitimate career choice where they can excel, so we build a pipeline for the diverse boards of the future. Thank you, Clare, I have no doubt that you will achieve your ambitions and I look forward to hearing more of your story. I hope you’ve inspired some youngsters to look at a career in Logistics. And if there are any parents of girls reading this, show it to your daughters! We run the group completely on a volunteer basis and periodically organise events which are usually free to attend, really good fun and provide great networking opportunities.” If you’d like to find out more about Women in Logistics, click this link. Thinking of making some significant and positive changes to your life in 2014? Check out the RenewYou days happening across the UK. Click here for more information. RenewYou is a one day course written by a woman, (me), delivered by women, for women.